Yes, here in New York City and I think in America in general, people love cupcakes. Can’t say I’m a fan, but they are hugely popular and can be found in a huge variety of flavours. Large ones cost around $4 and in terms of calories, you’ll rarely find any under 300 with many at around the 500 mark. I’d rather get my calories from a scone or a Danish pastry. Anyway, enough of that. Last week we had Macaroon Day and today we have Cupcake day. 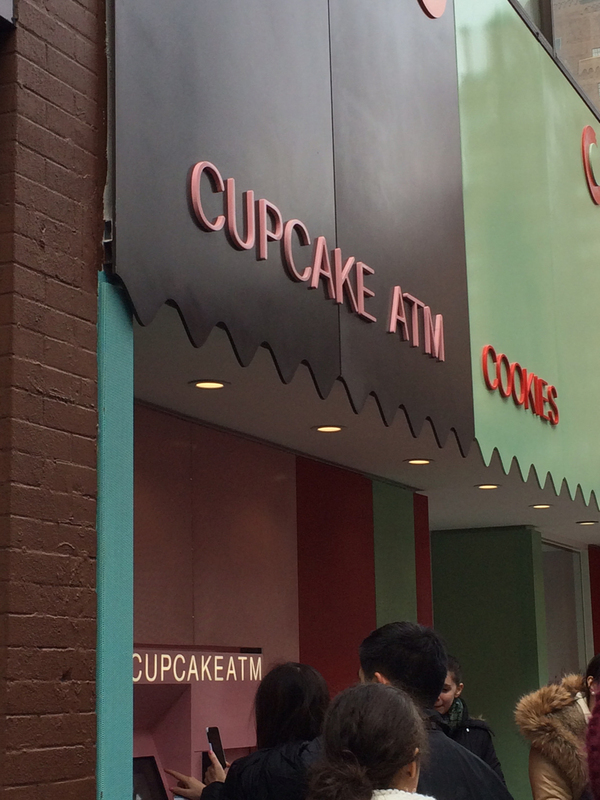 The cupcake company, Sprinkles, got masses of press today as they launched their first cupcake ATM in the city. Yes, that’s right. 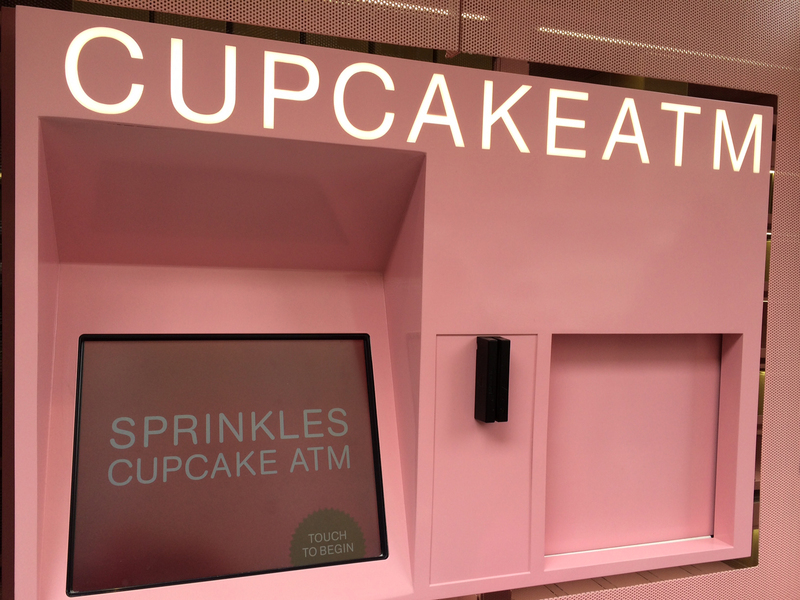 A cupcake vending machine, dispensing $4.25 cupcakes 24 hours a day! Like you need one at 4am. We were at Central Park Zoo earlier today and given this is over on Lexington Avenue at 60th Street, we thought we’d go over and have a look. The queue wasn’t very long and there were more people from the press than customers. I’m probably on some TV coverage on some obscure NY channel now. So after waiting about 10 minutes we had our turn. The ATM is very pink and metallic. There is a fairly standard touch screen to follow instructions and the flavours for the day are displayed for you to choose (see below). The cake is then dispensed from the door to the right. It does look a bit like its run by small pixies pulling up a door, not very smooth or elegant, but it does the job. It would have been a lot quicker to have just gone into the shop and bought one, but the ceremony is fun and if you do get the urge to eat cupcakes after 8pm, you know where to go! 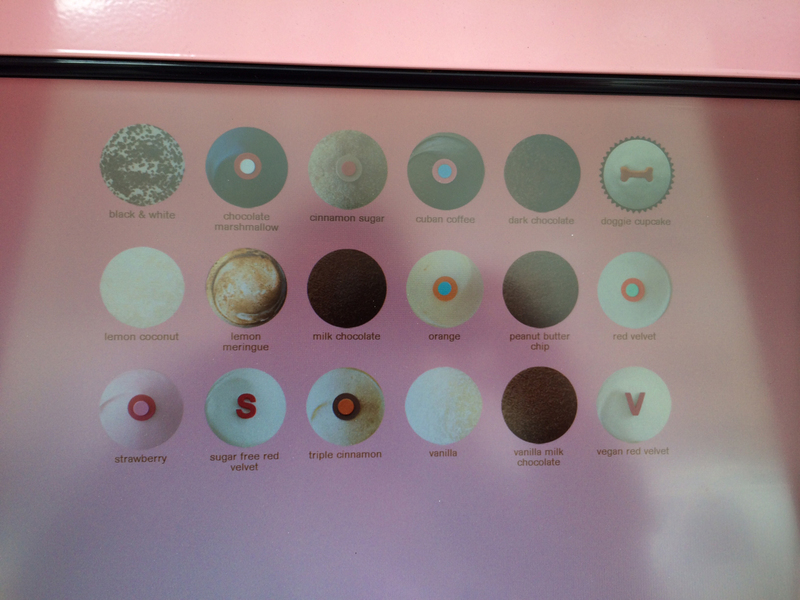 Categories: Food | Tags: Cupcake ATM, cupcakes, Sprinkles | Permalink.